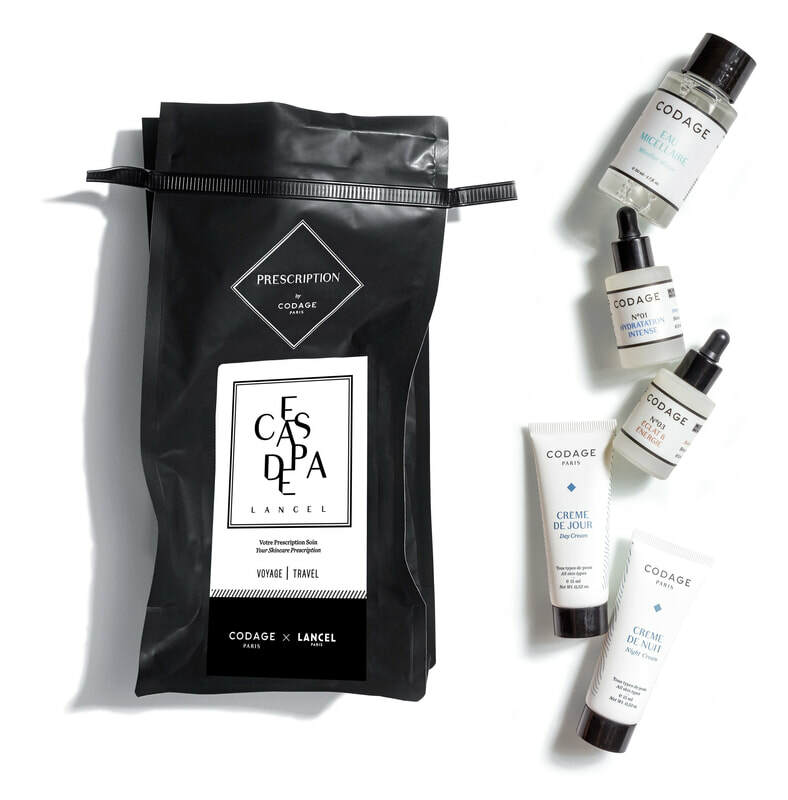 The “Summer Special” Prescription by CODAGE Paris is a regenerative and protective skincare routine. It provides skin battered by heat, sun and sea salt with optimal comfort and an ever-glowing complexion. 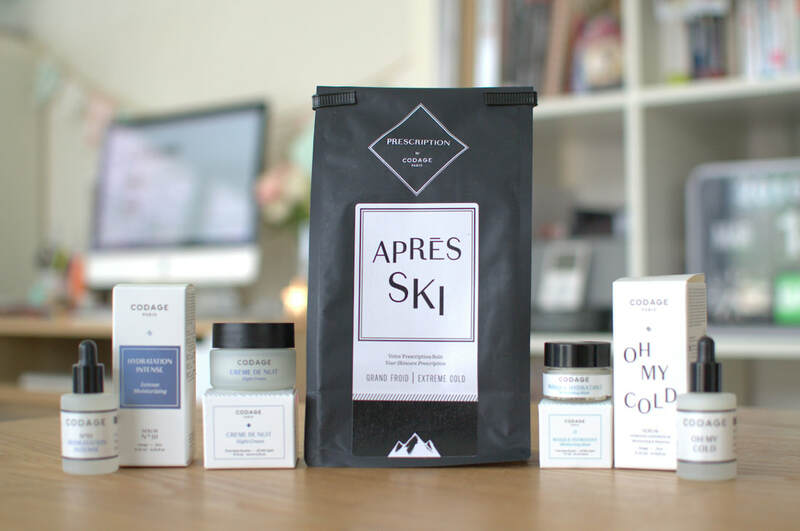 Spend your summer on the beach and maintain soft, beautiful and healthy skin with our expert assembled formula of CODAGE products, available in a tote ready travel-sized package. This prescription contains: 1. Prepare: EAU MICELLAIRE - (Micellar Water) - 50ml "Moisturizing, Detoxifying & Anti-Pollution" 2. Act: SÉRUM N°01 - 10ml (0.34 fl.oz) "Intense Moisturizing" SUMMER TIME - (Serum) / 10ml (0.34 fl.oz) Protecteur & Activateur 3. Protect Crème de Jour (Day Cream) - 15ml (net wt 0.52 oz) "Protectrive, Smoothing & Radiance"
At every moment of life, skin reveals different needs. 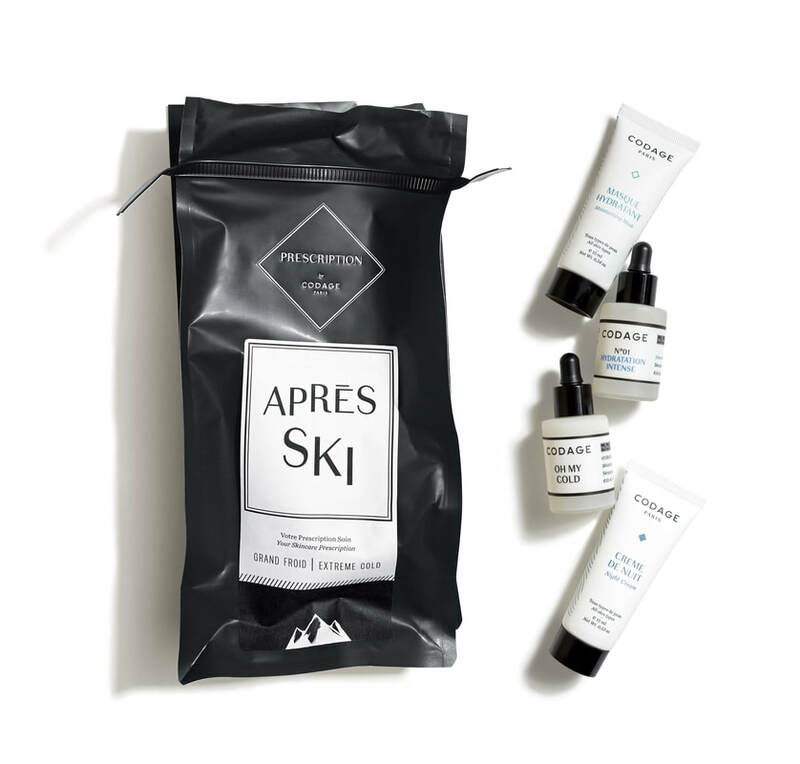 CODAGE Paris decodes them and assembles, with ON THE ROAD AGAIN prescription, the ready- to-wear skincare routine that brings skin submitted to jet lag, changes in temperature or environment... to guarantee beautiful and healthy skin during your trip. This prescription contains: 1. Prepare: EAU MICELLAIRE (Micellar Water) - 50ml "Moisturizing, Detoxifying & Anti-Pollution" 2. Act: SERUM N°01 - 10ml "Intense Moisturizing" SERUM N°03 - 10ml "Radiance & Energy" 3. Protect: Crème de Jour (Day Cream)- 15ml "Protective, Smoothing & Radiance" Crème de Nuit (Night Cream) - 15ml "Nourishing, Anti-Aging & Detoxifying"
Guided by a nutritional approach to skincare, the focus of our protocol is the application of highly active serums that allow all nutrients essential to the skin’s proper functioning to penetrate its deepest layers. These concentrated formulas are even more effective on skin that has been prepared prior to care and protected afterwards. This prescription contains 4 products: 1. Prepare MOISTURIZING MASK - 15 ml Nourishing, Moisturizing & Radiance Once or twice a week, plunge your skin into a moisture bath thanks to the Moisturizing Mask. This mask offers intense nutritional care, which regenerates and nourishes skin dried out and weakened by the cold, while its enzymatic peeling stimulates cell renewal. Your skin is soothed, radiant and completely revitalised. 2. Act SERUM N°01 - 10 ml Intense Moisturizing OH MY COLD - 10 ml Extreme Cold Moisturizing After proper preparation, skin needs to be deeply nourished. In the morning, apply 2 or 3 drops of the OH MY COLD serum to protect, repair and instantly replenish the skin with moisture and lipids, to ensure maximal protection and hydration all day long. At night, the SÉRUM N°01 – Intense Moisturizing – nourishes even more skin dried out by the cold to make it strong, soft and supple. In case of dry skin, mix and apply both serums morning and night. 3. Protect NIGHT CREAM - 15 ml Nourishing, Anti-aging & Detoxifying Once your skin has completely absorbed the serum(s), it is primed for a moisturizing cream. The Night Cream, a repairing nourishing concentrate, acts like a shield in protecting the top layer of the epidermis from external aggression while stimulating cellular regeneration and maintaining an optimal level of comfort and hydration. At every moment of life, skin reveals different needs. 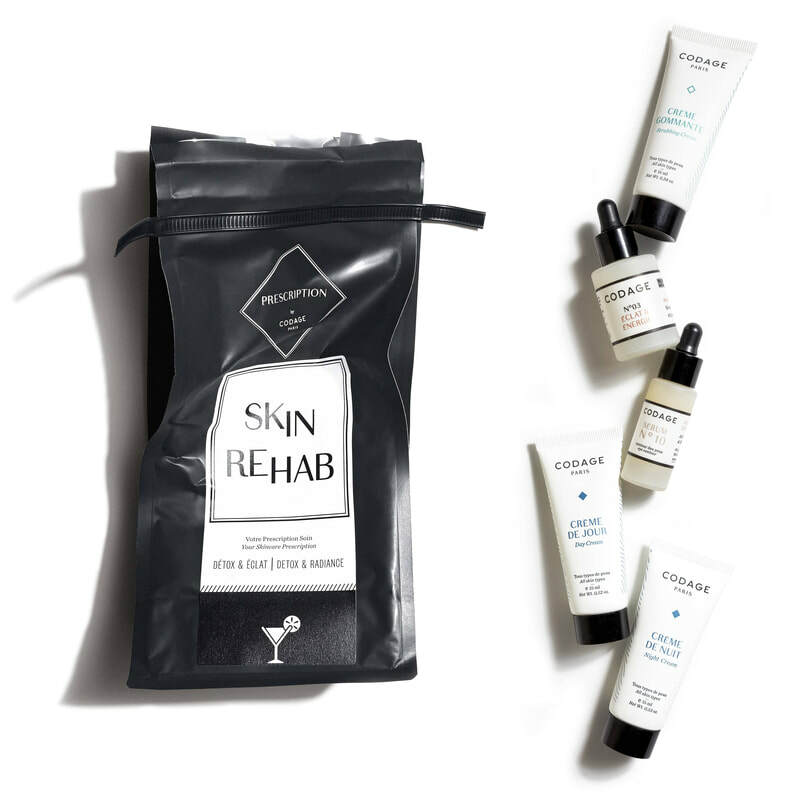 CODAGE Paris decodes them and assembles, with SKIN REHAB prescription, the ready-to-wear skincare routine that precisely answers your skin needs submitted to your frantic way of life ( fatigue, stress, parties...) or during a change in seasons to recove a new, healthy and detoxified skin. 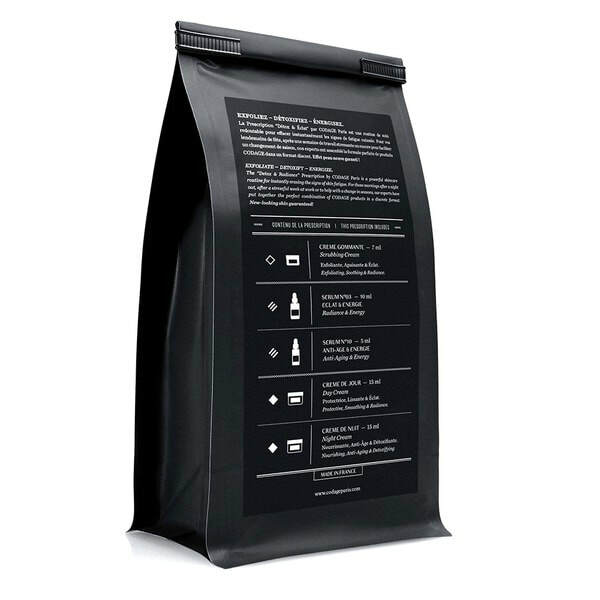 This prescription contains 5 products: 1. Prepare SCRUBBING CREAM - 15 ml Exfoliating, Soothing & Radiance To accompany your skin in its detox cure, the Scrubbing Cream may be used once or twice a week. This skincare eliminates the impurities and dead skin cells, while stimulating elasticity and cellular renewal for a smooth, uniform, radiant complexion ready to receive daily skincare. 2. Act SERUM N°03 - 10 ml Radiance & Energy SERUM N°10 - 5 ml Anti-aging & Energy Freshly cleansed, skin needs to be deeply nourished. Apply morning and night 2 or 3 drops of SERUM N°03 – Radiance & Energy – to detoxify and erase all signs of skin fatigue for a skin full of vitality. SERUM N°10 – Anti-Aging & Energy – smoothes the eye contour area and restores a brighter look to the eye. 3. Protect DAY CREAM - 15 ml Protective, Smoothing & Radiance NIGHT CREAM - 15 ml Nourishing, Anti-aging & Detoxifying Once your skin has completely absorbed the serums, it is primed for a moisturizing cream. Acting like a shield, the Day Cream protects the top layer of the epidermis from external aggressions while maintaining an optimal level of comfort and hydration. At every moment of life, skin reveals different needs. 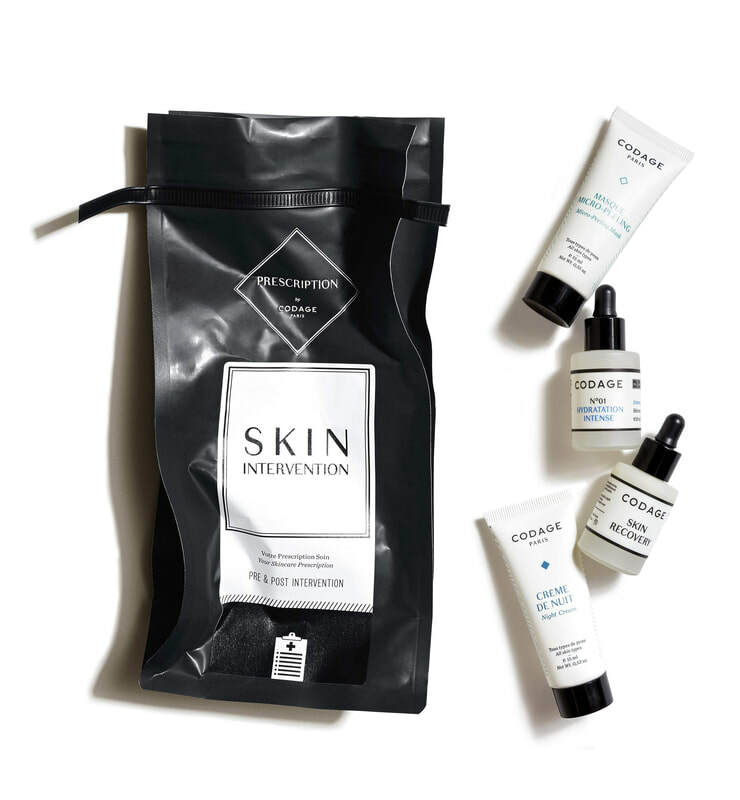 CODAGE Paris decodes them and assembles, with SKIN INTERVENTION prescription, the ready-to-wear skincare routine that answers your skin needs before and after an abrasive aesthetic procedure (peeling, laser surgery, filler injections etc.) This cure prepares your skin before and repairs it after to guarantee beautiful healthy skin and efficiency. This prescription contains 4 products: 1. Prepare MICRO-PEELING MASK - 15 ml Exfoliating, Brightening & Anti-aging To make the aesthetic procedure more effective, the skin must be freed of dead cells and impurities. Used once or twice a week beforehand, Micro-peeling Mask will optimize the effect of the treatment to come (peeling, laser) and will bring skin more receptive to it, to guarantee an even uniform and radiant complexion. 2. Act SERUM SKIN RECOVERY - 10 ml Ultimate Skin Repair SERUM N°01 - 10 ml Intense Moisturizing Freshly cleansed, skin needs to be deeply nourished. 2 or 3 days following the abrasive aesthetic procedure, use morning and night SKIN RECOVERY serum to repair, calm and regenerate your weakened skin. 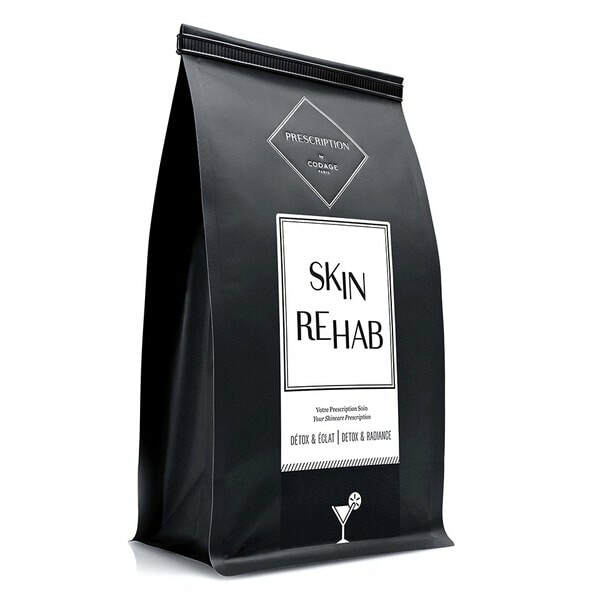 Then, used at night, this powerful cutaneous regeneration enhancer to make your complexion always more uniform and bright. In complement, in the morning, the SERUM N°01 - Intense Moisturizing – feeds in depth and on-surface dried skin to fill it with hydration. 3. Protect NIGHT CREAM - 15 ml Nourishing, Anti-aging & Detoxifying Once your skin has completely absorbed the serums, it is primed for Night Cream (to be applied morning and night). 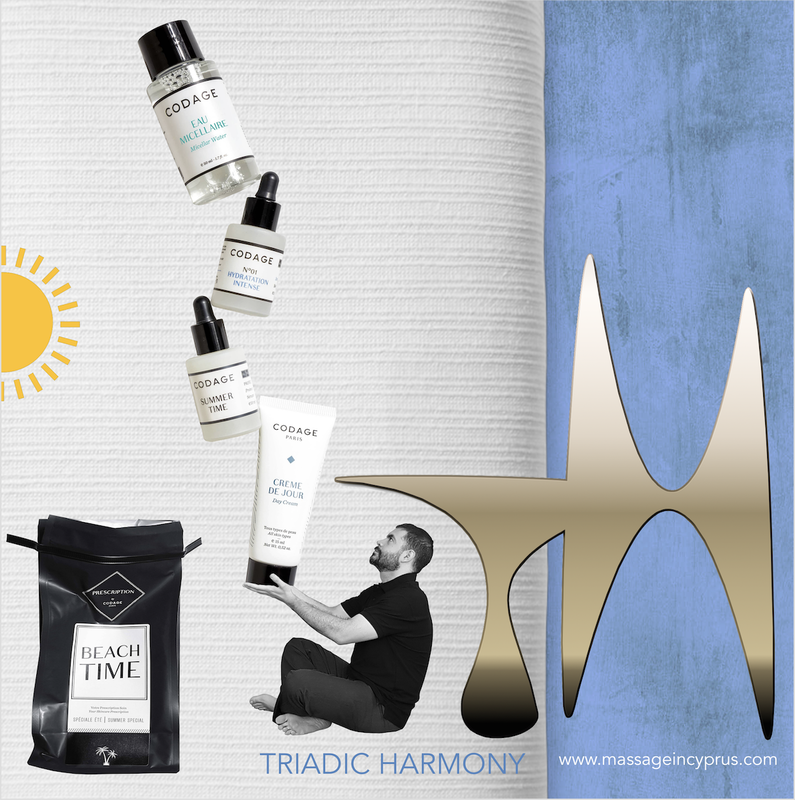 A rich and tender texture, true repairing nourishing concentrate will act like a shield protecting the top layer of the epidermis from external aggressions. CODAGE and LANCEL reinvent the art of travel and launch in exclusive collaboration and in limited edition the ESCAPADE LANCEL prescription, the ready-to-wear skincare routine that precisely answers the needs of your skin submitted to jet lag, changes in temperature or environment... to guarantee beautiful and healthy skin during your escapes around the world.